Her Universe’s Fangirl of the Day is Lizzy Perales! 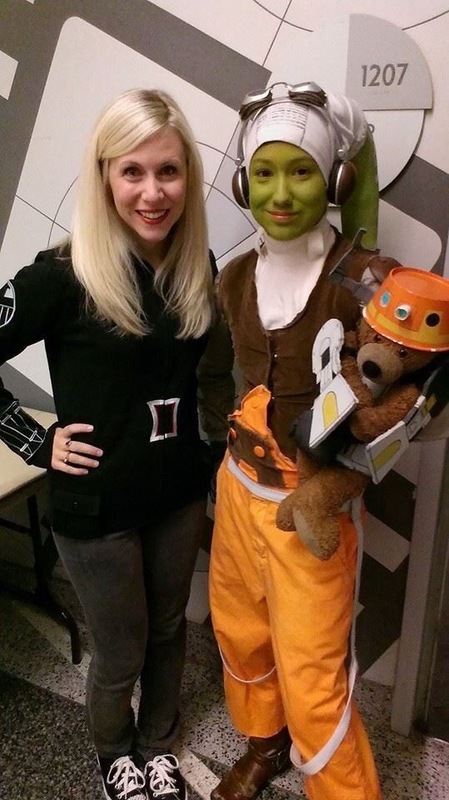 Since early 2013, Her Universe founder Ashley Eckstein (Ahsoka Tano in Star Wars: The Clone Wars) and her staff have been highlighting a different fangirl every day. This unique and impactful campaign has brought so much recognition to amazing fangirls everywhere since it’s inception. We wanted to make special note of today’s Fangirl of the day because not only is she a cool and deserving fangirl, but she’s also a friend of MakingStarWars.net. It’s Lizzy Perales! 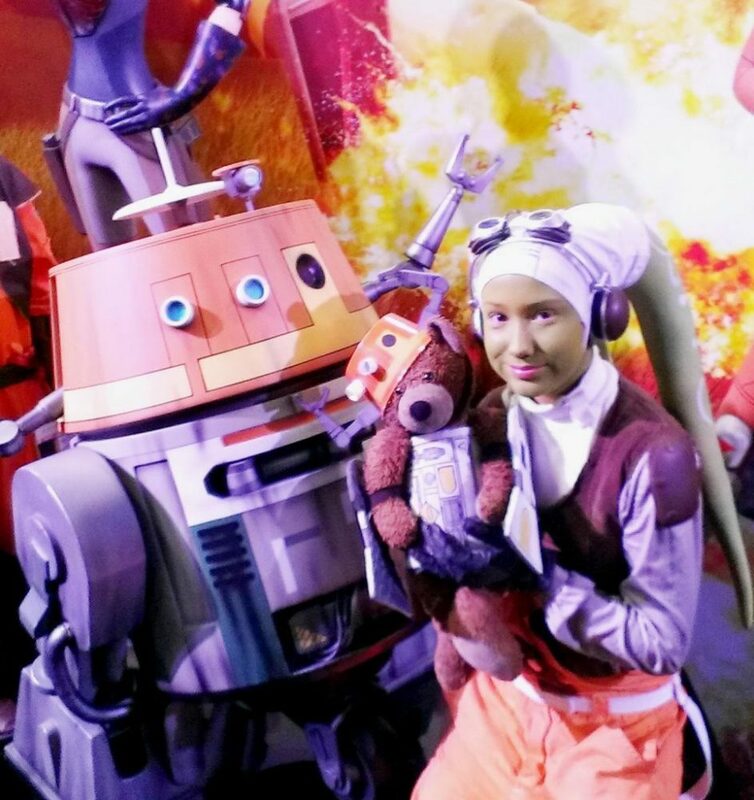 Lizzy is the daughter of cosplay alums Sal and Liz Perales and along with little brother Axel, she cosplays with her family as the crew of the Ghost from Star Wars Rebels! 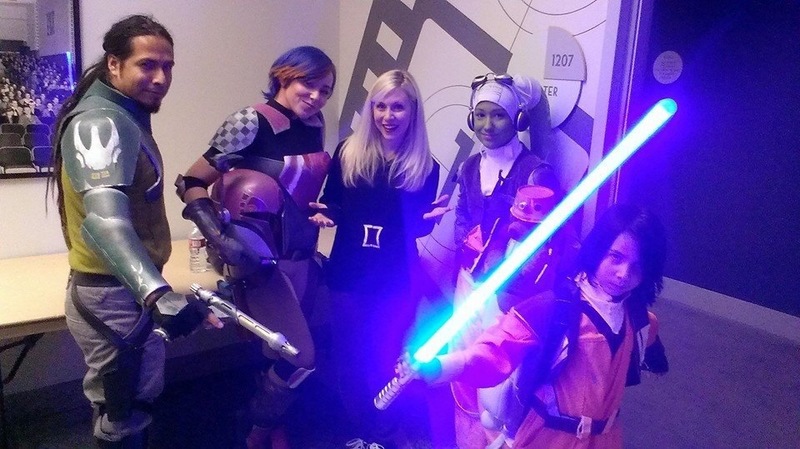 Last night Lizzy and her family (along with a few of the MSW team) got to preview Star Wars Rebels and chat with Her Universe founder and one of the biggest fangirls around, Ashley Eckstein! It was a pleasure to hang with Lizzy and the whole Ghost crew! Congratulations Lizzy from the whole gang at MakingStarWars.net. We are so proud of you and expect many more years of fangirling! Find out more about Lizzy and her family on the Facebook page for the Rogue Rebels.